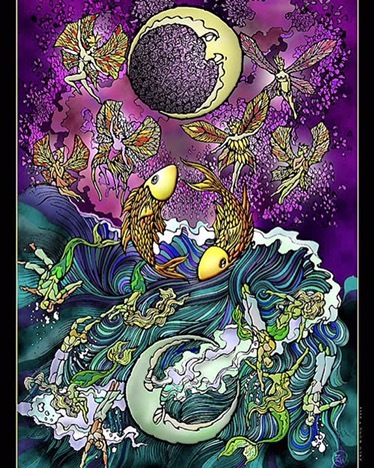 Happy Pisces New Moon to all! A great opportunity to write yourself a new story about how you relate to your intuition and imagination. Have you allowed yourself to be fully in tune with what you know to be your authentic being, or has some old way of thinking and being held you back? Are you able to dream and imagine the best life for yourself or have you lost faith in the future? Meditate today on how to begin anew, on how to see, think, and feel about yourself in a new way so that you can then manifest what you know in your heart to be your divine truth. I believe in you. And that’s not just an amazing Kylie Minogue song. That’s my heart’s message to you.